Are you metal music fan? 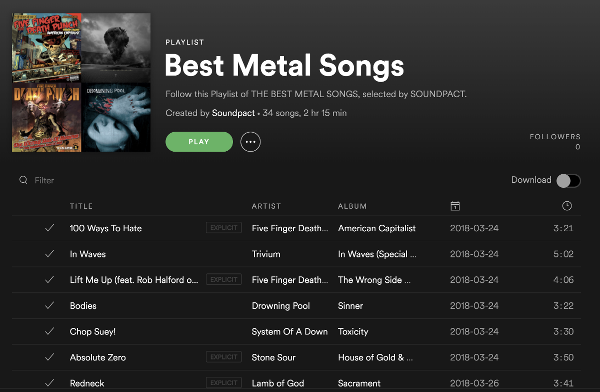 Check out this Spotify playlist of THE BEST METAL SONGS, made by Soundpact. We have created this playlist especially for METAL MUSIC fans which are Spotify users. We hope you enjoy all the tracks and follow the playlist on Spotify!